Now you can Tap your iPhone or iPad to learn Basic Life Support and CPR in only 30 minutes. 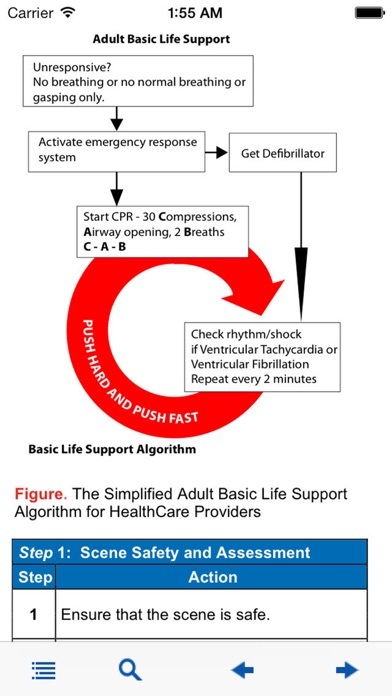 Basic Life Support and CPR for Healthcare Providers is based on the 2010-2015 Heart Association Guidelines for CPR and emergency cardiac care. Basic Life Support and CPR is designed to provide healthcare professionals with the ability to recognize life-threatening emergencies, provide CPR, use an AED, and relieve choking. 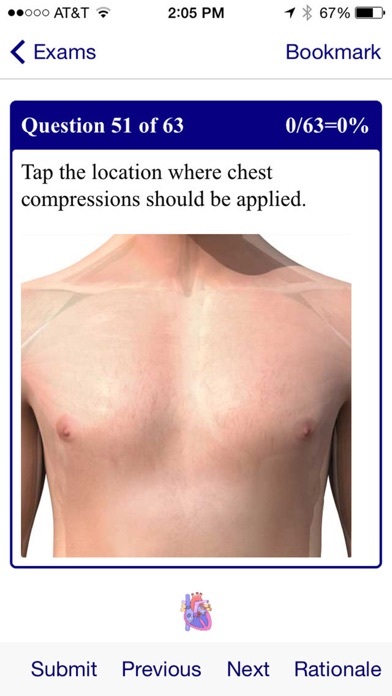 Key Features and Benefits • Tap-to-Learn technology • Important changes in basic life support, reflecting the new 2010-2015 National Guidelines for Cardiopulmonary Resuscitation and Emergency Cardiovascular Care • Critical concepts of high-quality CPR • 1-Rescuer CPR and AED for adults, children and infants • 2-Rescuer CPR and AED for adults, children and infants • Team basic life support skills for application in both in-hospital and out-of-hospital settings • Differences between adult, child and infant rescue techniques • Bag-mask techniques for adults, children and infants • Rescue breathing for adults, children and infants • Relief of choking for adults, children and infants • CPR with an advanced airway • The student manual provides quick emergency information at any time. I am a nurse, my BLS certification has expired so wanted practice questions before I gave the real test. Downloaded this app. It does not work. Answered 10 questions, wanted to check the rationales after the test, it won't let me see it. If I wanted to do more practice, I have to pay .99 per test. Nope! I am not paying. Better to read the book, practice and get my certification. Not a fan, what I thought was a free app continued to ask me to purchase the app every minute for basic information.